When I looked out the office window this morning to check the thermometer, I took note of the reading, 30° F, below freezing! My first thought was, “I must be cautious on the road this morning, when I drive the children to school.” Often our fall mornings are foggy, but when it’s freezing or below AND foggy, that moisture freezes to the road in invisible slickness. 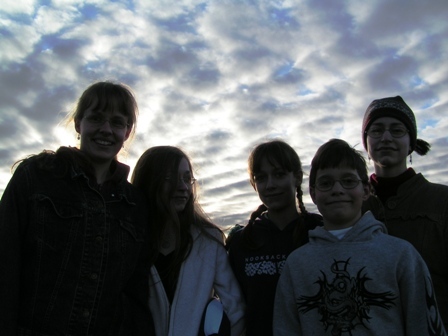 This entry was posted on Friday, November 2nd, 2007 at 5:58 am	and is filed under Favorite Photos, Memories. You can follow any responses to this entry through the RSS 2.0 feed. Both comments and pings are currently closed.